The Pedro Pires Institute for Cape Verdean Studies at Bridgewater State University has added a second event to celebrate its official launch the first weekend in December. A fireside chat entitled “Leadership and Democracy in Cape Verde: The Road Traveled – The Destiny Set,” will be held Friday, Dec. 2 from 6 to 8 p.m. in BSU’s Horace Mann Auditorium, Boyden Hall. 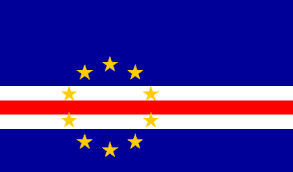 The historic event will feature Cape Verde Prime Minister Jose Maria Neves former Prime Minister Carlos Veiga, and the institute’s namesake, Honorable Pedro Pires, former President of the Republic and Cape Verde’s first Prime Minister. The launch of the institute represents the culmination of a decade-long effort to position Bridgewater State University as the global hub for Cape Verdean Studies as the institute is the only academic center in the world exclusively devoted to the study of the diaspora. While there is no cost to attend the fireside chat, registration is requested by visiting www.give.bridgew.edu/fireside. A gala celebration is planned for Saturday, Dec. 3.